Christmas is just around the corner and that means it is time to stay warm, cozy up by the fireplace, listen to Christmas songs and sip on a delicious Healthy Hot Chocolate! This beautiful drink screams Christmas as it resembles coziness, warm nights at home or cold walks out in town! 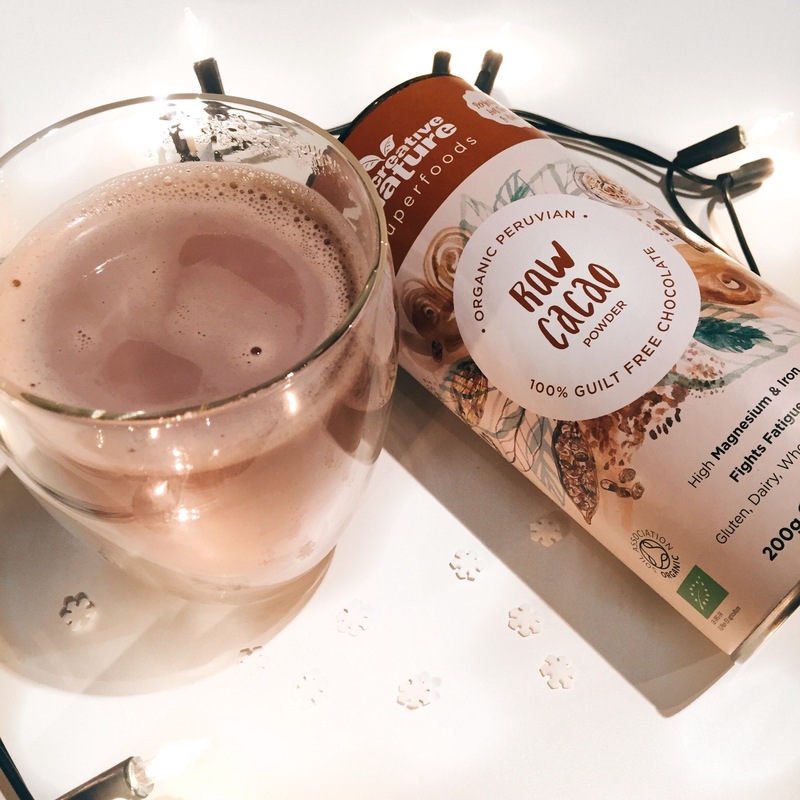 The addition of using raw Cacao powder rather than typical Cocoa will make sure you also have a kick of antioxidants as well as Iron, Magnesium, Zinc and Copper which will ensure you are full of energy and ready for the festivities! If you want to take this recipe to the next level- add on some marshmallows, whipped cream or a dash of cinnamon! Heat the milk in a pot on medium heat until it starts to simmer. Remove the milk from the heat and add in cacao powder and sweetener (if preferred). Using a whisk – mix the mixture until everything is evenly distributed, then pour into a festive mug and enjoy!